We are an esteemed platform aspiring for a global creative design community. We are the reference point of choice in the latest trends and work of today and tomorrow. We show you the latest work, projects and expositions in the field of international design as submitted by up & coming designers, artists, photographers, architects and illustrators. 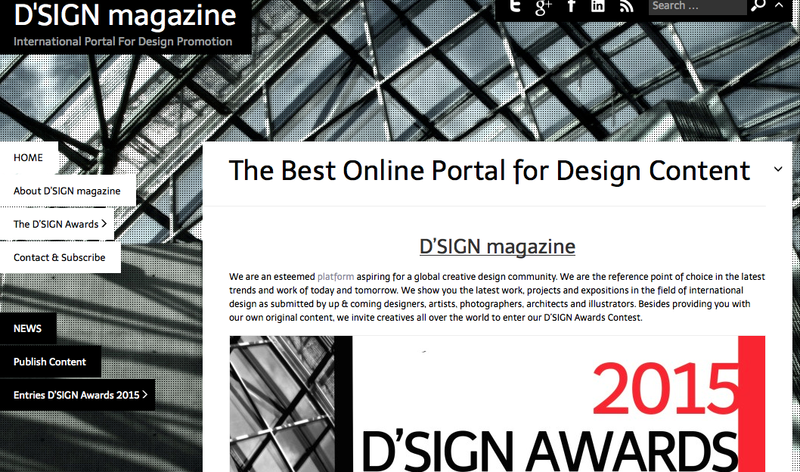 Besides providing you with our own original content, we invite creatives all over the world to enter our D’SIGN Awards Contest.